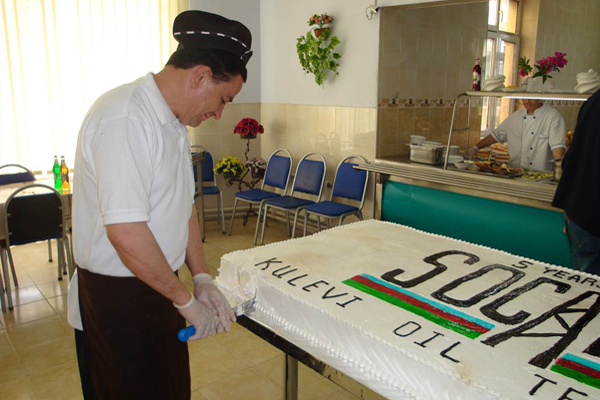 Exactly five years ago, on the 16th of May, 2008 Kulevi Oil Terminal was put into operation. One of the grand projects of the Georgian history was fully implemented and the operation process commenced. The 16th of May, 2008 has passed into the history of our company as one of the most important and wonderful days – the beginning of a beautiful future. This celebratory event has changed our lives and has given it special motivation. Each new achievement, whether that be the newly-constructed infrastructure, or positive social condition that exist in our company today is a direct result of the smart strategic policies implemented by our company’s management. General Director of Black Sea Terminal LLC and company management congratulated its staff on Black Sea Terminal’s 6th anniversary. Company management expressed their confidence that the future is promising, and that this promising future will be reflected by the company’s future developments and financial successes, as well as the positive social conditions each employee enjoys. Since then the Terminal, displaying high level of proficiency and management, proved to be one of the leading companies in oil products’ transshipment industry in the whole region. The countless number of awards and prizes won at different events and the fact of being the Terminal with the best infrastructure is a brilliant example of this. During these five years the Terminal has tried to function at the highest level and meet the needs of customers in the best way, always reviewing the ecological issues as a top priority. Kulevi Oil Terminal is committed to continue this course in the future, seeking new ways that will allow to increase productivity and to reduce the expenses which in itself will serve the customers interests. To celebrate the anniversary company management presented all the personnel with branded T-shirts and Georgian wine and organized a holiday lunch with big cake for desert. The festive mood was felt everywhere at the Terminal. 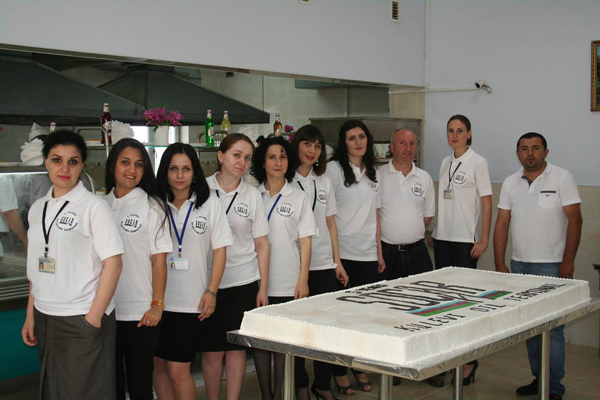 Some of the staff was also celebrating the 5th anniversary of their employment in the company. 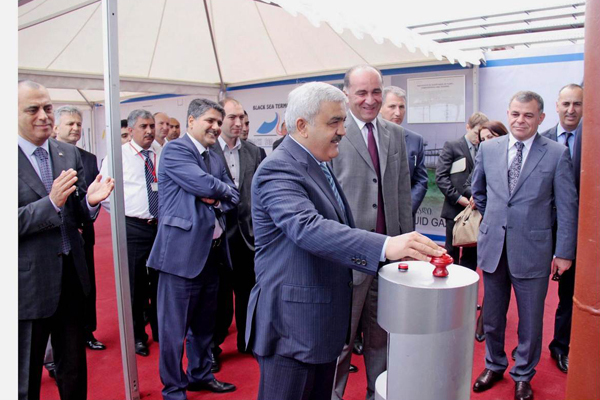 On June 1, 2012 the President of State Oil Company of Azerbaijan Republic, Mr. Rovnag Abdullayev opened new complex facility for transshipment of propylene constructed in Kulevi Oil Terminal. Among the distinguished guests invited to the opening ceremony there were Governor of Khobi Municipality, Mr. Goga Ghurtskaia and other representatives of SOCAR management. The project customer is PA “Azerkimya”. According to the project, prepared by “Oil Gas Scientific Research Project Institute” of SOCAR, the complex includes a number of facilities: compressors, transformers, nitrogenous station and trestles for polypropylene offloading. The complex is intended for loading of the product directly to gas tankers. Exactly four years ago, on the 16th of May, 2008 Kulevi Oil Terminal was put into operation. The high-ranking officials from both countries, including the president of Georgia had participated at the opening ceremony of the Terminal. Since then the Terminal, displaying high level of proficiency and management, proved to be one of the leading companies in oil products’ transshipment industry in the whole region. The countless number of awards and prizes won at different events and the fact of being the Terminal with the best infrastructure is a brilliant example of this. During this four years the Terminal has tried to function at the highest level and to meet the needs of customers in the best way, always reviewing the ecological issues as a top priority. 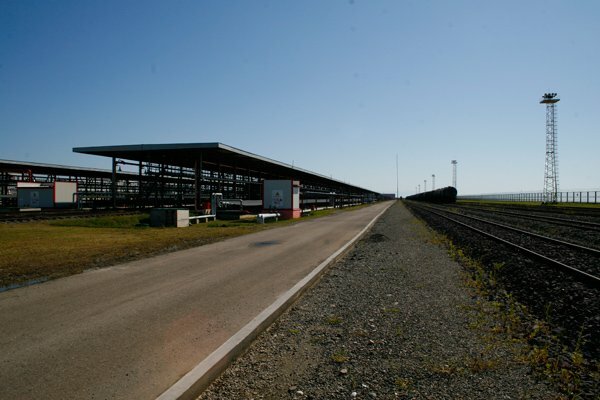 On the 1st of May, 2012 the newly constructed Parto Tskali railway station received first freight of oil product which was 30 trains of diesel fuel from Azerbaijan. It should be noted that Parto Tskali railway station which corresponds to all modern standards and the four lines connecting it to the general railway system has been constructed according to the contract signed by Kulevi Oil Terminal and “Georgian Railways” LLC. The freight to Parto Tskali station will be carried not by diesel locomotives as it was the case before but electric locomotives which do not emit combustion gases into the atmosphere and make much lesser noise. This event will help the terminal to gain momentum for development and realize more and more ambitious plans in the close future. Dynamic development of Black Sea Terminal LLC in recent years has become a guarantee of its sustainable progress and systematic realization of strategic issues including metrological support of the Terminal. To ensure integrated system of measurement and increase efficiency of control equipment exploitation BST created Metrology laboratory. The key components of this potential are unique metrological base of the Terminal, highly qualified staff and efficient system of innovative development. The laboratory possesses all kinds of equipment necessary for proper test operation and calibration. All the equipment used for the calibration and having an essential impact on the accuracy and credibility of the results had been checked prior to exploitation. The program and procedure for calibration of equipment had been developed and put into practice at the laboratory. At present appropriate works are conducted to extend the base and increase the quantity of measurement types. The laboratory staff has got appropriate education, training, skills and experience essential for qualitative performance of works on investigation of measuring systems, development of methods for assessment of measurement uncertainties. The consistent growth of metrological resources enables to constantly master new types of calibrations and tests of measurement tools. One of the latest achievements is calibration and test of gas detectors and safety valves. The Terminal implements a comprehensive program on the enhancement of the metrological support and improvement of calibration process quality. The program is generally aimed at improvement of the level of compliance with requirements of ISO/IEC 17025:2006 international standard. The enhancement of the metrological base of the Terminal is a very important and prospective project, and the Terminal management is taking serious measures to achieve this goal. Black Sea Terminal LLC is glad to announce that cumulative transshipment volume of Kulevi Oil Terminal achieved 10 mln tons, which means that 10 mln tons of oil and oil products have been already received and dispatched since the beginning of operation (May, 2008). This success is the result of continuous and effortful development process made by BST team within last couple of years, - since SOCAR became main shareholder of the Terminal. Meeting international safety standards Kulevi Oil Terminal provides the most efficient operations and satisfies all customer needs. 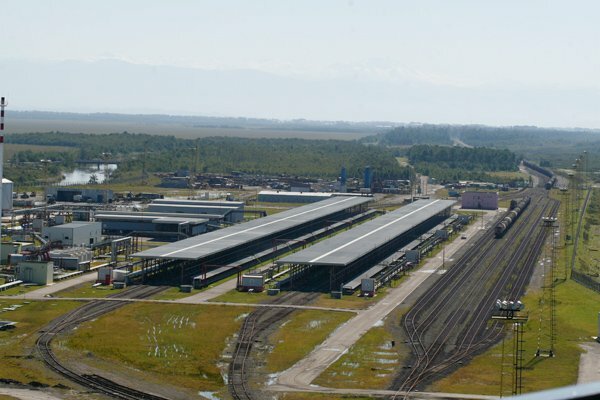 All technical characteristics, including 16 shore tanks with 320 000 m3 storage capacity, 4 Trestles with 168 railway tanks simultaneous discharge capacity, two berths with loading performance from 8000 up to 12000 m3/h, and successfully implemented quality management system maintained by experienced and qualified personnel make it possible to strive for goals and score success every day. 3 years ago on the 16th of May, 2008 Kulevi Oil Terminal and Port were put into exploitation. Since then BST has attained a lot of achievements and has become one of the most successful companies of the Caucasus. In May, 1999 the company was founded and the pre-construction works were started. 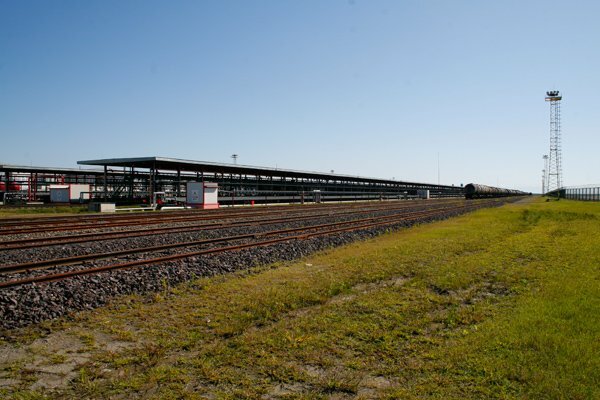 In the month of May, 2008 the Terminal was opened and first railway tank cars with oil and oil products were received. Exactly in May, 2010 the Terminal started to transship the TCO crude oil. Thus May is a lucky month for BST. Among the most significant achievements there is Integrated Management System, which fully meets the ISO 9001, ISO 14001 and OHSAS 18001 international standard requirements. It is to mention that BST Integrated Management System was certified in all three standards by UKAS accredited certification body – Moody International LLC after 6 months since operation start. Modern technology and qualified personnel made it possible to achieve high level of safe and efficient operations and emergency preparedness, which is equal to high level of customer satisfaction. BST recognizes the value of emergency preparedness and has the capability to respond to incidents in railway, tank and port areas. All these and many other achievements are the result of firmness, tenacity and collaborative efforts of experienced management and highly qualified personnel of the Black Sea Terminal LLC. Black Sea Terminal LLC Main Environmental Documents - Environmental Protection Plan and Environmental Monitoring and Measurement Scheme, which provides the direction for the company management system and an overview of the company’s Environmental and Operational activities, was approved by Georgian Government in December of 2010 as a Procedure and Guideline primarily for environmental objectives in areas that can have most environmental impact. In order to gain more benefits these objectives will become the primary areas of consideration within the improvement process, and the BST environmental program. 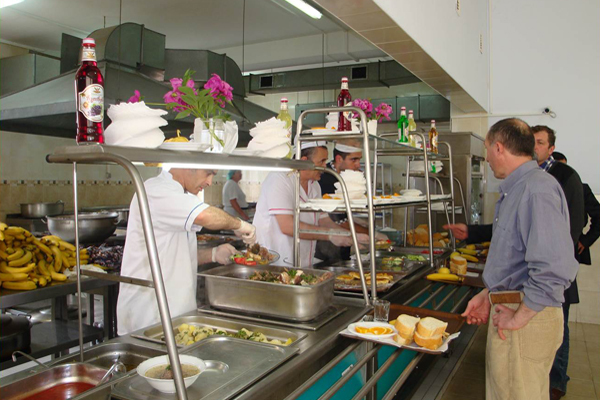 The program is aimed to achieve specific objectives and targets and describes the ways of their attainment. BST Environmental Activities require periodic comprehensive audits of the System to ensure that it is effective in operation, is meeting specified goals, and continues to perform in accordance with relevant Georgian Environmental regulations. Described monitoring and audits are designed to provide additional information in order to exercise effective implementation of projects, provide or offer an opportunity for improvement. Fulfillment and completion of the requirements mentioned in the Plan and Scheme are indivisible part of the contract between Ministry of Environment Protection and Natural Recourses of Georgia and Black Sea Terminal LLC from 6 of May 2008. Yesterday, on the 19th of December, 2010 cumulative transshipment volume of Kulevi Oil Terminal became the 7 mln tons. Meeting international safety standards the Terminal provides the most efficient operations and satisfies all customer needs. Its modern infrastructure, experienced management, and qualified personnel make it possible to strive for goals and score success every day. Achievements require efforts, firmness and tenacity and always inspire development. Kulevi Oil Terminal today is a proof of steady development therefore it excellently defines and achieves it goals. The other day Kulevi Oil Terminal loaded the 100 000 DWT tanker of the leading oil and gas company “TCO” for 18.45 hours. It is to mention that at other terminals of the region the loading process lasts no less than 34 hours. This achievement is significant because the 100 000 DWT tanker, like 5 000 DWT tankers, was loaded for less than 24 hours, i.e. was received and departed in a very short time. Thus, the Black Sea Terminal LLC, one more time has proved that, the main Principle of the Terminal activities - is Customer satisfaction. We are glad to announce that on the 22nd of November Kulevi Oil Terminal accepted the 300th tanker, which is being loaded with diesel oil and will depart as the loading completed. This significant achievement is a result of sustainable development maintained by BST management and hard work of hundreds of people who uninterruptedly run the transshipment process and ensure safe and efficient operation of the Terminal. We express our gratitude to everyone who makes us possible to reach new levels. Cumulative transshipment volume of Kulevi Oil Terminal reached 6 mln tons on September 13th, 2010. This achievement is a result of developed terminal infrastructure, meeting all safety standards, also an effect measures taken to exclude losses and of course compliance with customer satisfaction standards. It has been transshipped 2,4 mln tons of oil and oil products during eight month’s period of this year (50% more than for the same period of previous year). The Terminal continues to work in the direction of transshipment volumes increase. We are glad to declare that the Terminal started to transship crude oil. This is one more stage which certainly had to happen in the development of company. The right method of approach to basic direction of business strategy development and compliance with international standards during any kind of operations attracted such a considerable crude oil carrier as Tengizchevroil is. Tengizchevroil LLP produces four high quality products for domestic use and for export to world markets. 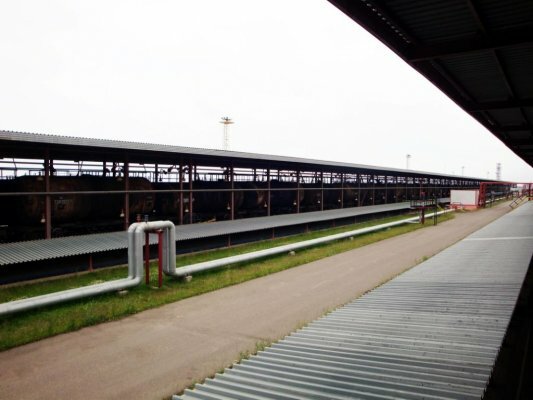 Kulevi Terminal is receiving product from Tengiz fields. Owing to Azerbaijani and Georgian Railway management operations are performed without difficulties. The turnover has risen almost in 3 times; therefore this will bring profit not only to company, but to local region as well – in creation of additional work places and increase of payments to budget, which is a significant contribution into the economic development of the country in whole. It is to remind that overall storage capacity of the tank park is 320 000 m3 and throughput of berths is 8000–12000 m3/h. The trestles make possible the simultaneous discharge of 168 oil tank cars. Today on the 17th of June, 2010 we are glad to announce that Kulevi Oil Terminal has transshipped 5 mln tons of oil and oil products. Following its slogan – “Safe! Harmless! Efficient!” the Terminal attracted rather significant partners. Consequently we are closer and closer to our main goal – the throughput of 10 mln tons per year. A famous pedagogue said, - “Success won’t come to you. You have to reach it yourself!” Thank you all, who strove for our success together with us. In the beginning of April, 2010 it has been declared that Kulevi Oil Terminal (BST) achieved 4 million tons transshipment volume since the beginning of operation (May, 2008). Obviously, this is a great success, which became possible because of hundreds of people’s hard work including BST team, shareholders, Georgia and Azerbaijan government authorities - and it really deserves to be celebrated as a great milestone on continuing BST development process. This success is the result of consequent development process made by BST team within last couple of years, - since SOCAR became main shareholder of the Terminal. It’s clear that BST staff is looking for future with confidence, by tracking BST previous development process and in the nearest future such kind of achievements shall be considered as normal ones. Kulevi Oil Terminal has received his first Aframax tanker today. “Aegean Freedom” wıth 106,000 metric tons deadweight made fast to Kulevi port at 17:00 September 30, after two days storm. The “Aegean Freedom” with length 244 m. and beam 42 m. delivered to Arcadia Ship Management CO. Ltd from Hyundai Heavy Industries in 2003. Earlier Kulevi Oil Terminal was receiving panamax (tankers with 40, 000 metric ton) class tankers only. Recently, Kulevi Oil Terminal has been officially authorized to load AFRAMAX tankers. This decision was made by Maritime Transport Department of Ministry of Development and Infrastructure of Georgia. One of the main requirements for mooring of high tonnage tankers was an installation of measurement devices – RDCP. Information provided by these devices is very important for vessel traffic management and includes such measurement data as direction and speed of flow on different depth, height of waves, and depth and temperature of water as well. The devices were already installed at 130 m. distance from the berth on the south border of access channel. Kulevi Oil Terminal (Black Sea terminal) began his activity in May 2008. Terminal has successfully passed certification by Moody International on standards ISO 9001 (management quality), ISO 14001 (environment protection management) and OHSAS 18001 (safety of production and industrial works). Multimode transshipment capacity of Kulevi terminal is 10 million tons of oil products by year, including 3 million tons of oil and diesel fuel and 4 million tons of black oil. Overall storage capacity of Tank Park is 320 000 m3 with the prospect of increase up to 380 000 m3. For loading operations there are two berths for receiving tankers with tonnage up to 100 000 tons. Loading performance is from 1000 to 8000 m3/h. 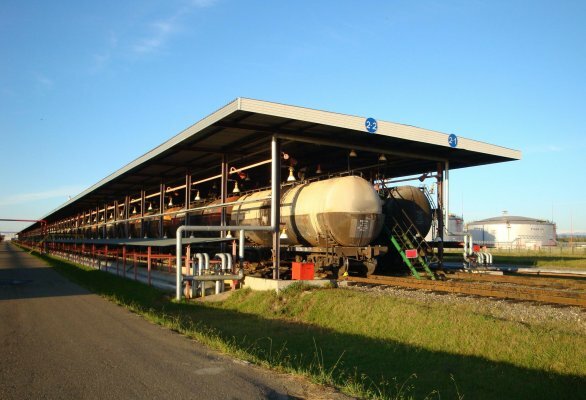 The Terminal has its own Railway station, where 180 oil tank cars can be placed for discharging. The trestles make possible the simultaneous discharge of 168 oil tank cars. On the 1st of may, 2009 Port of Kulevi received and loaded the 100th tanker - VALLE DI NERVION flying the flag of Italy. At the moment the Port is able to receive tankers with DWT about 60 000 M.t. But in 3 months due to dredging works at access channel the Port of Kulevi will receive vessels with DWT up to 100 000 M.t. In spite of some problems like sinking of Ukrainian dredger and world economic crisis, our Terminal is on its’ feet and has got enough capacity and willingness to overcome any obstacle with great fortitude! 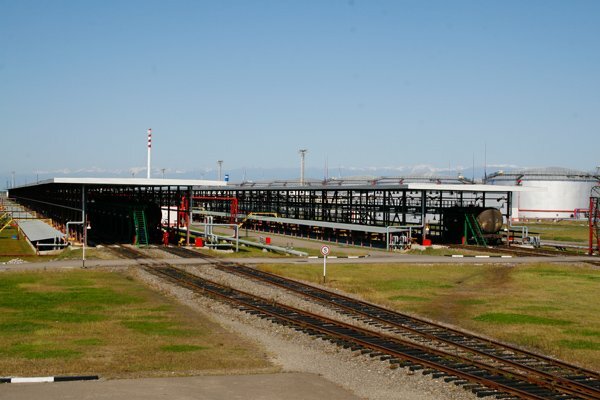 On the 16th of May 2008 there was held an opening ceremony of Oil and Oil Products’ Transhipment Marine Terminal and Port in Kulevi, Georgia. The honourable guests and speakers were: the President of the State Oil Company of the Azerbaijan Republic Mr. Rovnag Abdullayev, Prime Minister of the Azerbaijan Republic Mr. Arthur Rasizade, the Prime Minister of Georgia Mr. Vladimer Gurgenidze and the President of Georgia Mr. Mikheil Saakashvili. Everybody mentioned the strategic importance of the object, the contribution made on economic and friendly relations development of both countries.